Kolkolo, U.M. 1996. Quarantine practices used in Papua New Guinea for introductions and transfers of live fish. In Health Management in Asian Aquaculture. Proceedings of the Regional Expert Consultation on Aquaculture Health Management in Asia and the Pacific. R.P. 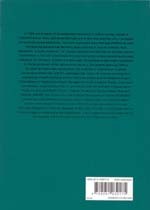 Subasinghe, J.R. Arthur & M. Shariff (eds. ), p. 140–142. FAO Fisheries Technical Paper No. 360, Rome, FAO. 142 p.
The FISHAID Project (Fisheries Improvement through Stocking High Altitudes for Inland Fisheries Development) in Papua New Guinea (PNG) has been involved in the identification of appropriate edible cold- and warmwater fish species from Nepal, India, Malaysia and South America for introduction into PNG waters at higher and lower elevations, respectively. The drainage basin where this stocking program is being carried out is the Sepik and Ramu River Basin in northern PNG. This paper outlines the quarantine procedures that have been practiced in PNG during the introduction of six exotic species (chocolate mahseer, Accrocephalus hexagonolepis; snow trout, Schizothorax richardsonii; golden mahseer, Tor putitora; tawas, Barbodes gonionotus; pirapatinga, Piaractus brachypomus; and sabalo, Prochilodus lineatus); the transfer of common carp (Cyprinus carpio); and the importation of rainbow trout (Oncorhynchus mykiss) eggs. The National Fisheries Authority of Papua New Guinea has two inland fisheries development programs. The first is the stocking of mid-altitude (about 1 300 m above sea level) streams with coldwater and warmwater fish species imported from overseas, and the second program is the pond culture of the common carp, Cyprinus carpio. Quarantine legislation dealing with the introduction of live fish requires that prior to introduction imported fish species be quarantined for three months. This legislation, known as the Animal Disease Control Act, also requires that Disease Certificates be issued for live fish imports. There is also the Fauna Protection Act which regulates the import and export of live organisms. Under this legislation, the National Fisheries Authority conducts, as much as possible, its inland fisheries development work. Within the private sector, there is a growing interest in information on commercial shrimp, milkfish, pearl-shell and oyster farming but, with the exception of two private farms culturing the rainbow trout, Oncorhynchus mykiss, in the PNG highlands, no commercial operations have been established. The current freshwater stocking program, called the FISHAID Project (Fisheries Improvement through Stocking High Altitudes for Inland Fisheries Development), stocks edible coldwater fish species imported from Nepal and India into higher coldwater streams and stocks warmwater species imported from Malaysia and South America into waters at lower elevations. The drainage basin where this stocking program is being carried out is the Sepik and Ramu River Basin in northern Papua New Guinea. The coldwater species imported from India and Nepal are the chocolate mahseer (Accrocephalus hexagonolepis), the snow trout (Schizothorax richardsonii) and the golden mahseer (Tor putitora). The warmwater species imported for stocking in the flood plains of the Sepik and Ramu River Basin are tawas (Barbodes gonionotus) and pirapatinga (Piaractus brachypomus, syn. : Colossoma bidens) from Malaysia and sabalo (Prochilodus lineatus) from Brazil. Prior to introduction, an initial environmental impact assessment is made of the site. This involves a description and, where possible, quatification of the natural freshwater fauna as well as a description of the biophysical characteristics of the natural streams. A list of potential species for introduction is drawn up and is assessed by a panel of international fishery scientists and aquaculturists. Here they consider the survival of the species concerned and its possible impact on native fauna. Live eggs are then imported from a fish culture station where disease-free certificates can be issued. Eggs are treated with iodine prior to shipment to Papua New Guinea. In Papua New Guinea, the fish are kept in quarantine for three months in the hope that if there are diseases present they will show within this period. After three months, live fish samples are sent to an overseas institution for disease testing So far Papua New Guinea has used the University of California at Davis and the Universiti Pertanian Malaysia. After the results are known, the fish are stocked. Common carp fingerlings are produced by a government hatchery and distributed throughout the country where there is interest in pond culture. There are no specific quarantine procedures to be followed; fingerlings are packed using the pond water of the government hatchery and air-freighted. Most of the fish are cultured in earthen ponds. Private farms culturing rainbow trout import eggs from Australia. There is no quarantine involved, the reason being that because of historic ties between Australia and Papua New Guinea, PNG, under the Animal Disease and Control Act, can only import live fish eggs, specifically trout from Australia only. Futhermore, as Australia provides a disease-free certificate, the three month quarantine period is waived. There are significant inconsistencies and constraints within Papua New Guinea in relation to quarantine and disease diagnosis. There are legislative constraints, as the Animal Disease Control Act requires that imports of live fish come only from Australia and that only trout be imported. The current interest is in the farming of other species. In relation to quarantine requirements, Papua New Guinea does not have quarantine facilities or expertise for disease diagnosis and depends on outside institutions for this support.